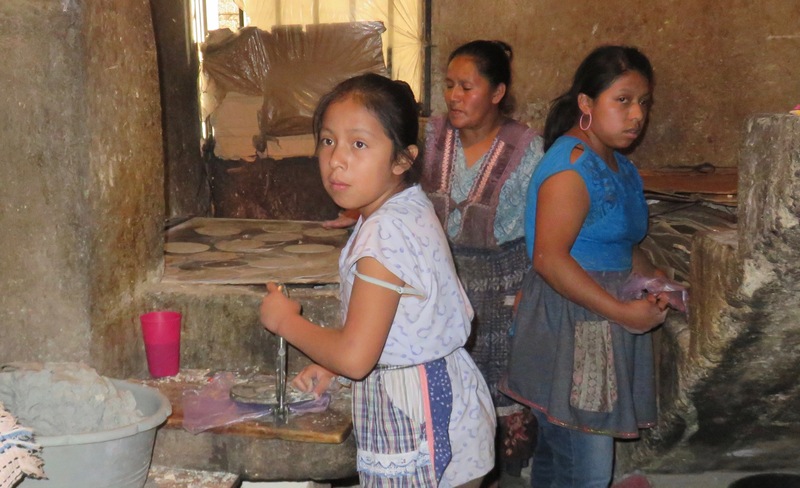 NOTE: We are expanding our program to street children, and to help us raise funds for this effort we are currently offering a 2:1 donation match if you designate Guatemala. In a country like Guatemala, there are no safety nets like welfare, food stamps, free healthcare services for the poor… So when a woman is abandoned by an abusive, alcoholic husband, life gets even harder. Not only must she face the emotional pain of rejection, she must somehow survive and care for her children. Does she leave her children home alone where they are vulnerable to sexual abuse by neighbors in order to find work? Does she beg for food from strangers because no one will give her a job if she must tote young children along? How does she care for a sick child when she has no money for even the simplest of medicines to stop a high fever from causing permanent brain damage? Even harder than the physical suffering is the sense of abandonment and despair that comes from facing life’s struggles alone. Estudia Con Amor is an educational scholarship program for children in Quetzaltenango, Guatemala (also known as Xela) and surrounding communities. Most of the children come from single parent households – the mothers having been abandoned by abusive, alcoholic husbands. Work that is available to uneducated women brings very low pay, so in spite of working long hours, the mothers simply can’t afford to send their children to school. Another large group of children come from the open-pit gravel mines. Mining is grueling work and is dangerous, and the pay is abysmally low. Tuition is free through middle school in Guatemala, but children must buy their own uniforms, proper shoes, school supplies, and even textbooks, and educational costs rise sharply after middle school because tuition is no longer free. Uniform and textbook companies have “convinced” school officials to change uniforms and textbooks every year, which means high costs every year and no passing items down to younger siblings! This is prohibitively expensive for these families. In fact, in most cases, the children must also work to help provide for the basic needs of the families. Estudia Con Amor steps in to help with scholarships as well as a chicken program to help the children raise money and learn to save. Receiving a scholarship from Estudia Con Amor doesn’t just provides a child with an education and a chance for a better future, however. It provides the whole family with hope – hope that that there is a better tomorrow waiting and a support system so the mothers no longer feel alone. Sandra, the Project Director, has a tremendous heart for the children and mothers in this program. The families in this program are desperately poor, and they often need basic help beyond just a scholarship and chickens. A blind mother needed help finding and relocating to a new rental – a one-room shack with a roof pock-marked with holes. Sandra helped her find the new place, and she and her husband replaced the woman’s roof with new tin. A lame girl who was rejected by her mother for being a “useless invalid” needed medical care for an eye infection, which Sandra helped provide. A girl struggling due to sexual abuse needed counseling, and Sandra arranged free care from the psychology department at the University. Sandra works tirelessly to help these families in a myriad of ways. 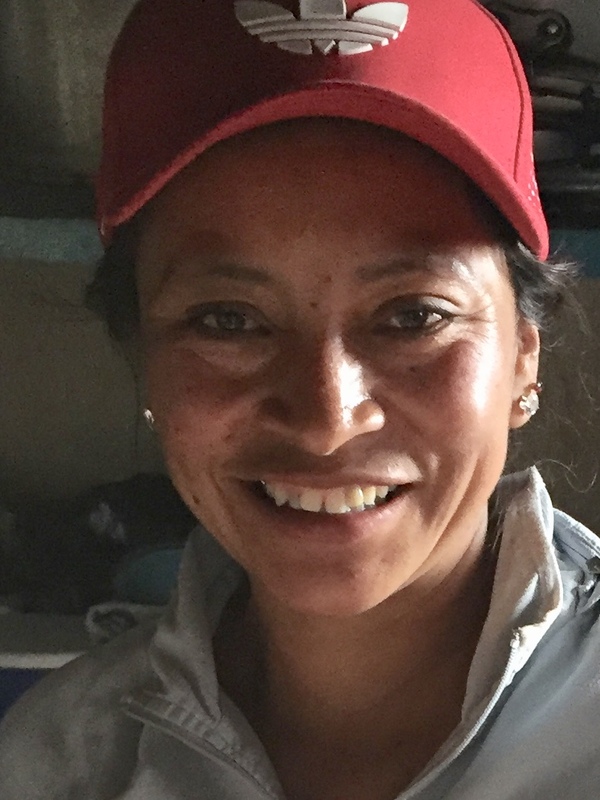 Sandra evaluates each new scholarship candidate to ensure her scholarships are going to the neediest girls, buys their needed school supplies, and helps them enroll in school. She continually monitors their progress, advocates for them in the schools, and motivates them to study hard. She also provides great emotional support to both the girls and the mothers, as they often confide their problems to her because of their great trust in her. She is enormously grateful for the donations that allow her to serve these precious young children. Mar 2019: Sipping Coffee with ?? ?